Introducing the Five or Less project! As I mentioned in an earlier entry, cooking and I have never mixed. I can make an omelette and that’s pretty much it. However, despite this, when I first started making my food clay creations I went out and bought a few cooking books. I firmly believe in knowing the rules before you break them. What better way to learn how to make a miniature version of the food than having the actual instructions? Ever since I started making various clay foods over the years, friends always asked me if I was making something “real” or not. This got me wondering that maybe I should actually learn how to bake/cook some of the foods I was re-creating. I debated on the idea for a long time until I found Tamar E. Adler’s video “How to Boil Water.” Tamar really made it that simple. Her concept was that with a pot of boiling water, you could make the start a week’s worth of meals. It was too simple for me not to decide to give cooking another chance. Cooking always seemed like a very daunting task. All I could see is a long list of instructions or ingredients that accompanied the recipes. So, The Five or Less Project was born! The goal of the project is to find recipes that have five or less ingredients and make them. This will most likely be a monthly entry. It took me awhile to introduce this because I wanted to make sure there was a large breath of five ingredient recipes that weren’t re-hash of the same thing. Some of the recipes I’ve found may be elementary but I figured this would help me jump-start the project and make small treats for myself at the same time! If you have any recipes that are five ingredients or less, feel free to tell me! 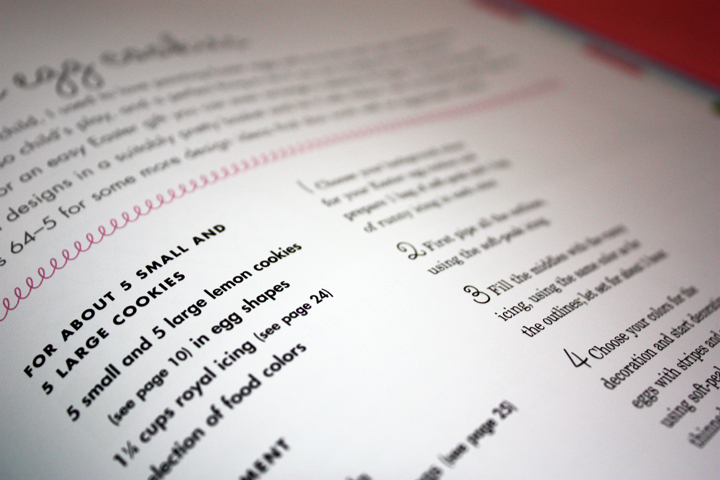 Also in case anyone is interested, the recipe I took a picture of for my thumbnail is from “Pretty Party Cakes” by Peggy Porschen, it is the Easter egg cookies.